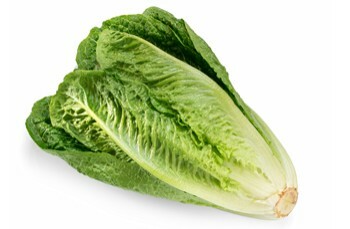 The U.S. Food and Drug Administration, along with the Centers for Disease Control and Prevention and state authorities, continues to investigate a multistate outbreak of E. coli O157:H7 infections associated with consumption of romaine lettuce in the U.S. As of Nov. 26, 2018, this outbreak has resulted in 43 people becoming ill in 12 states, with the last reported illness onset date being Oct. 31, 2018. An additional 22 people in Canada have become ill, and the FDA and our partners are also coordinating the investigation with Canadian health and food safety authorities. To prevent additional cases of E. coli O157:H7, on Nov. 20, 2018 the CDC advised the public not to consume romaine lettuce and to destroy any romaine lettuce in their homes. At the same time, the FDA requested that all romaine lettuce on the market, including in restaurants and other commercial establishments, should be withdrawn and destroyed. Over the Thanksgiving holiday, the FDA continued to investigate the outbreak. The investigation at this point suggests that romaine lettuce associated with the outbreak comes from areas of California that grow romaine lettuce over the summer months, and that the outbreak appears to be related to “end of season” romaine lettuce harvested from these areas. The involved areas include the Central Coast growing regions of central and northern California. The FDA is continuing tracebacks of romaine lettuce from locations where impacted consumers purchased or consumed romaine lettuce before they became ill in order to identify specific locations that are the likely source of the outbreak and to determine the factors that resulted in contamination. Through laboratory studies they have identified that the E. coli O157:H7 strain causing the outbreak is similar to one that produced an outbreak of E. coli O157:H7 in the fall of 2017 that also occurred in the U.S. and Canada, which was associated with consumption of leafy greens in the U.S. and specifically romaine lettuce in Canada.